How Much Money Should You Spend on Video Production For Marketing? If you are looking for a premium quality video production be prepared to pay a premium price tag to achieve it. Video productions can be extraordinarily beneficial for your business, and they can be instrumental in getting a leg up on the competition, by putting your company’s story before the public and reaching vast numbers of people in your target audience. There are a number of ways that using videos can be much more effective than other approaches in reaching the public, and all of these owe their appeal to the fact that most people prefer the imagery of a video production, as opposed to dry text content. 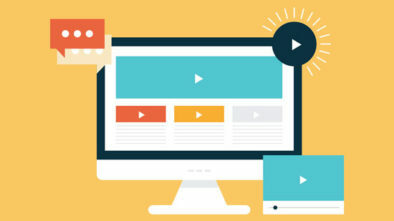 For instance, videos are ideal for telling your story, for producing testimonials, for explaining what your company is all about, gaining increased traffic to your website, retaining customers or gaining new ones, for simple promotional productions, and perhaps one of its most valued benefits, increasing the brand recognition of your company. Given the fact that video productions can have such a profound effect on consumers and others in your intended audience, how much should you pay to purchase such a video, or to have it produced by members of your own company? You could probably ask 100 business professionals this question, and get at least 50 answers which all sound different, but in terms of what you get in return for your investment, it would seem that almost any price is justified. However, here are some pricing guidelines you can use as a reference when your own company is considering the purchase of a video, or of undertaking an in-house production. In a basic video production, it will be necessary to engage the services of someone who has at least a fundamental understanding of video editing software, who understands how to use stock videos in a production, and who is willing to work on a modest budget. The end result is more than likely to be a reflection of that simplistic approach, lacking in elegance and style, but you may not need anything more than this for the kind of video you’re having produced. If an inexpensive video is what you’re looking for, this should be a perfect choice, since you can generally keep it to less than $1000. The hallmark of an amateur video production is that is being prepared by someone who is a non-professional, meaning that they don’t get paid for their services, and simply do the work as a hobby, or as a favor to a friend. It might even be yourself because you’re trying to avoid most of the costs associated with producing a video to meet your own needs. In any case, the only cost associated with an amateur video production would be in the purchase of any materials needed, or for any props required by the production itself. While this may be the ideal approach for a tight-budget production, you should be prepared to accept results which may be somewhat spotty, and not in total alignment with what your original vision of the video started out as. When considering the cost of video production you need to consider the cost of all the equipment like the set and the camera. A semi-professional production will involve an individual who has at least some background in the preparation of videos, perhaps with academic experience, or less than extensive professional experience. There are numerous individuals in this category, for instance, wedding photographers or individuals who take up videography as a hobby. The finished product will probably look better than either the basic production or the amateur production, but it is still likely to be at least somewhat unsatisfying in the end. However, cost of the entire production should be relatively inexpensive, perhaps somewhere between $1500 and $3000. As you ascend the level of professionalism for video productions, you can expect the cost of such productions to ascend as well, with a good professional production costing as much as $20,000. 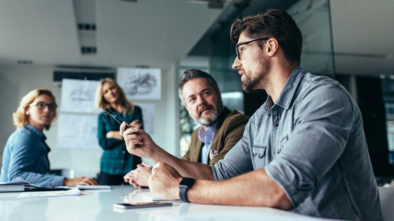 For this, a fully professional team will be engaged, and these individuals will be using professional equipment and tools which they are intimately familiar with, because of their years of experience. For that kind of money, you’ll get a high-quality video which should be well received by the viewing public, at least in terms of its quality and appeal. This level rises to near the top of the professionalism scale, with costs in line with that lofty status, perhaps in the neighborhood of $50,000. Premium level videography will be made by top-notch professionals, with years of experience and know-how under their belts, who will be using the best available equipment and tools. For this, the end result should be something truly exceptional, and well above the level of even a good professional production. Assuming you have communicated your vision fully to the production team, the end result should be exactly what you wanted and should be nothing short of spectacular. Rising above the premium level would seem to be difficult, but the ultra-premium distinction is appropriate for a video worthy of Hollywood. Videos like these are probably out of the price range of all small businesses, and can only be pursued by corporations. Even so, it will need to be corporations with a fat budget that can be expanded to cover the cost of such excellence. 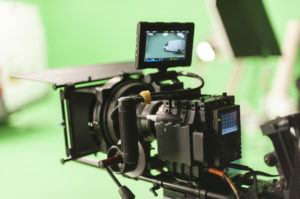 Videos produced in this category are likely to cost upwards of $1 million, is made by an extremely talented production team, using state-of-the-art equipment.